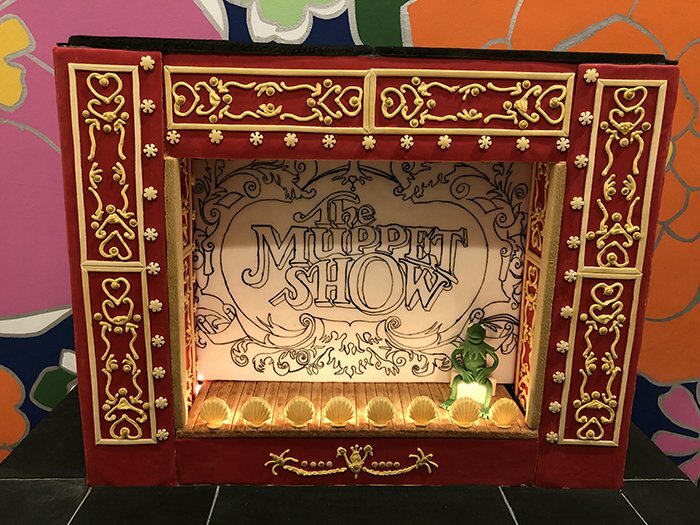 BlogHome Blog Uncategorized, Art Congratulations to the Winners of Our 2018 Gingerbread Competition! 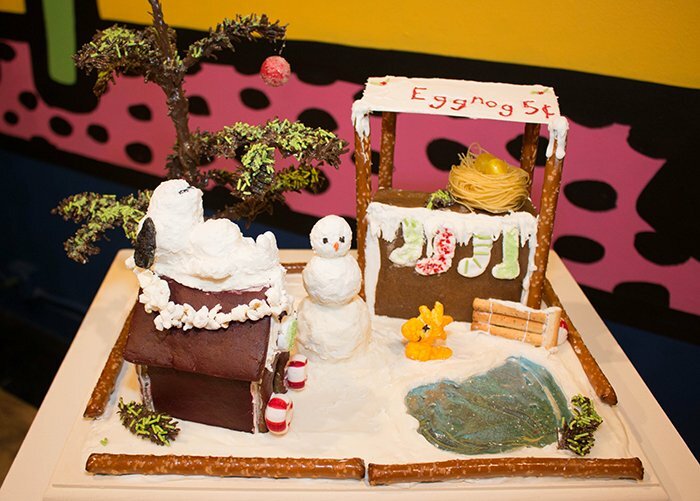 The results are in–here are the winners of the 2018 gingerbread competition. 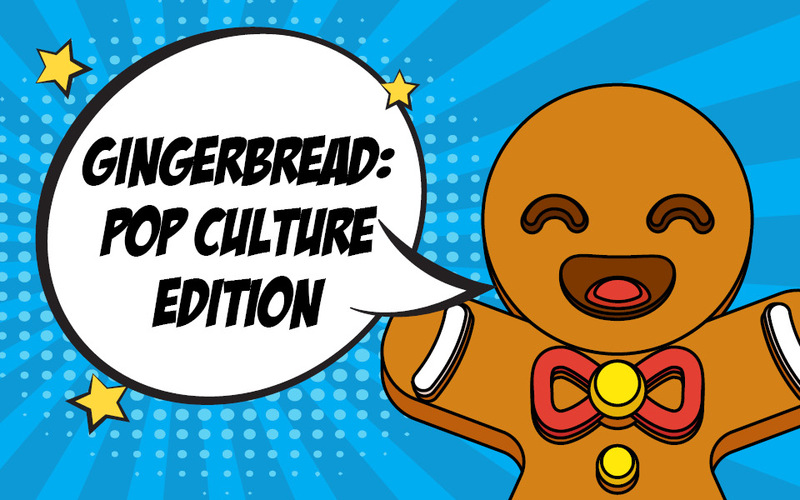 Thanks to all the talented bakers for making the holidays “pop”! 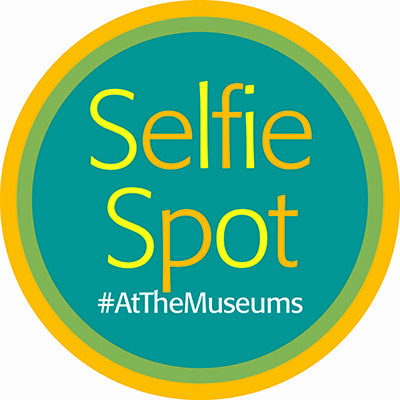 If you’re interested in participating in next’s year competition, email lmurray@springfieldmuseums.org. Special Ingredients: Some foods we used were pretzel rods, royal icing, gingerbread, and light cocoa candy melts. Some candies we used were clear mints and sprinkles. Special Ingredients: Our Hanukkah display is made of entirely kosher ingredients. We even have candy from Israel! 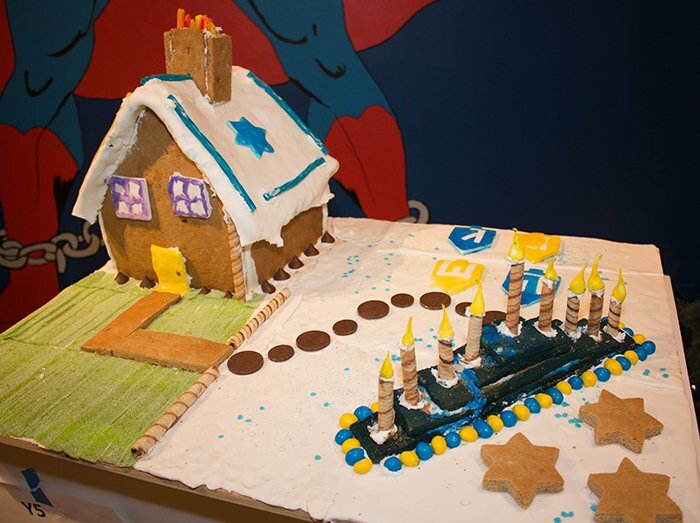 There are sour belts for grass, a gingerbread walkway, and a gelt coin trail leading to the hanukkiah (menorah). The dreidels and Stars of David on the house are made from fondant and they are colored gold and blue. Special Ingredients: Chocolate and candy pebbles. 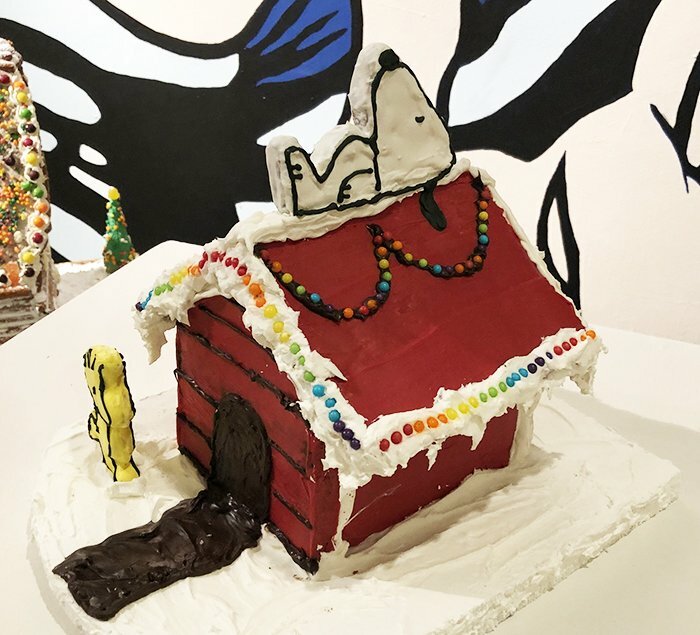 Special Ingredients: The outside of Snoopy’s house is covered with chocolate that has been colored red and black. 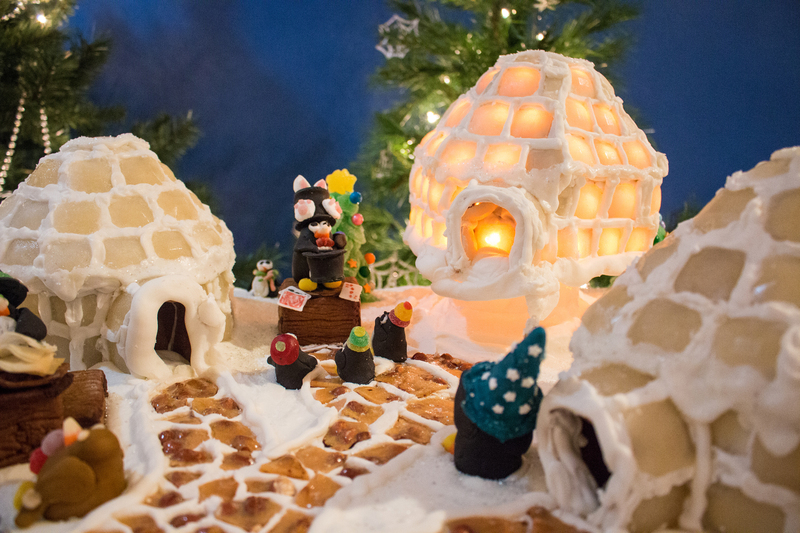 The snow is royal icing, and the lights are different colored sugar pearls. 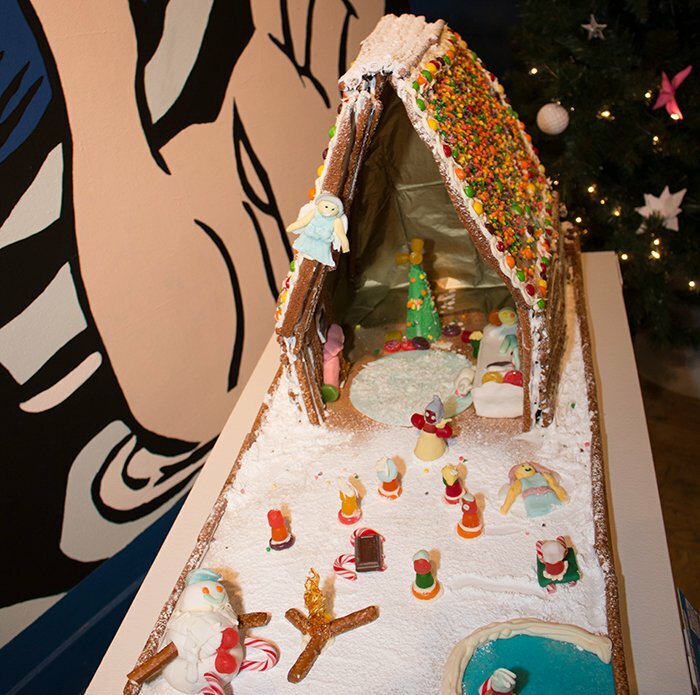 We hope you like Snoopy and his house as much as he loves the holidays. 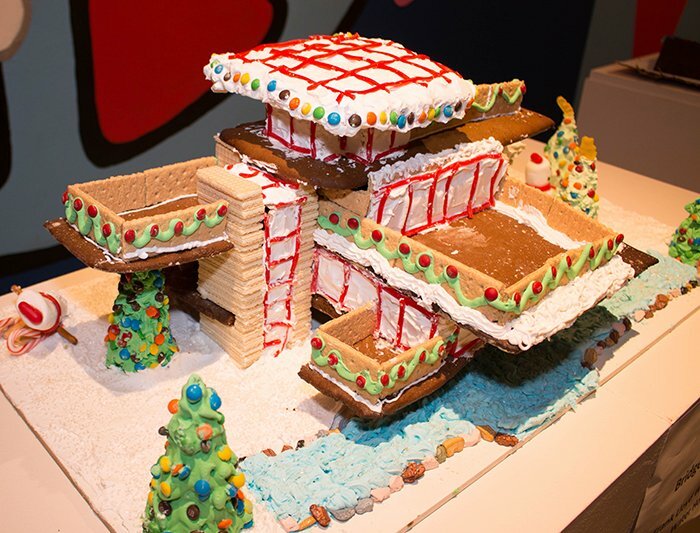 Special Ingredients: Gingerbread, Vanilla Wafers, Red Hots, graham crackers, M & M’s, royal icing, sugar sprinkles, gummy bears, red licorice, candy canes, marshmallows, candy rocks and pretzel sticks. 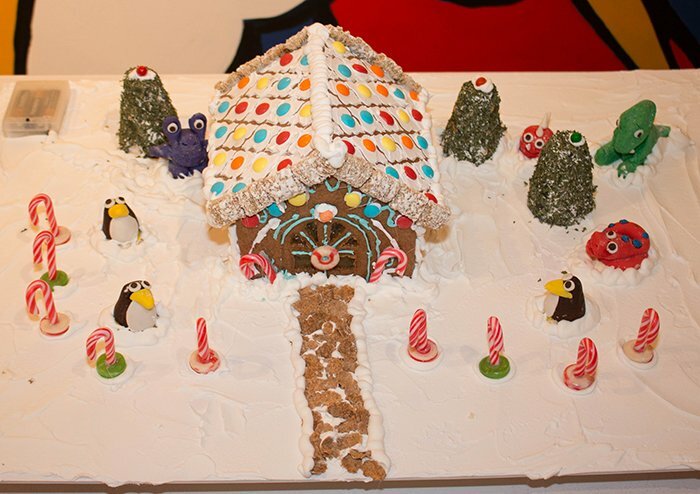 Special Ingredients: Nerds, fondant, gumdrops, Skittles, pretzels, candy canes and hard candy. 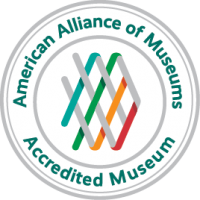 “Participating in this display has been our family tradition for years now! Many times a few of us make our own, but this year we chose to work as a family of 5 (Mom, Dad, Olivia, Donovan and Nan) to create this piece. To us, Times Square on New Year’s Eve combined a holiday scene with the pop culture theme. We wish health, happiness and good times to all in the coming New Year”! 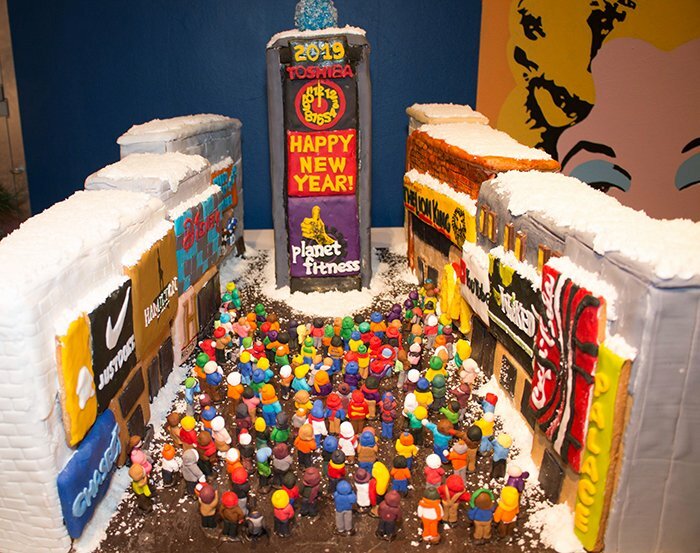 Special Ingredients: The large billboards and crowds of people welcoming the New Year are made of primarily gingerbread, fondant and chocolate. 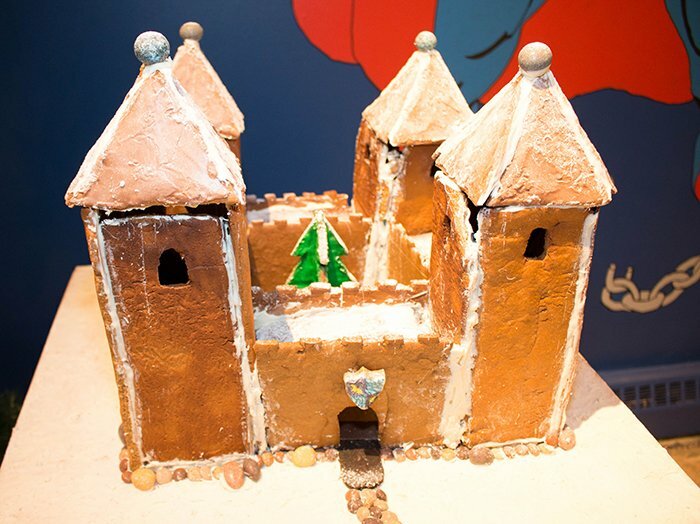 Royal icing is the glue that hopes to hold it all together, and hard candy, chewing gum and coconut also were used. Special Ingredients: The curtain is made of fondant. The backdrop is fondant. Various sprinkles were used. 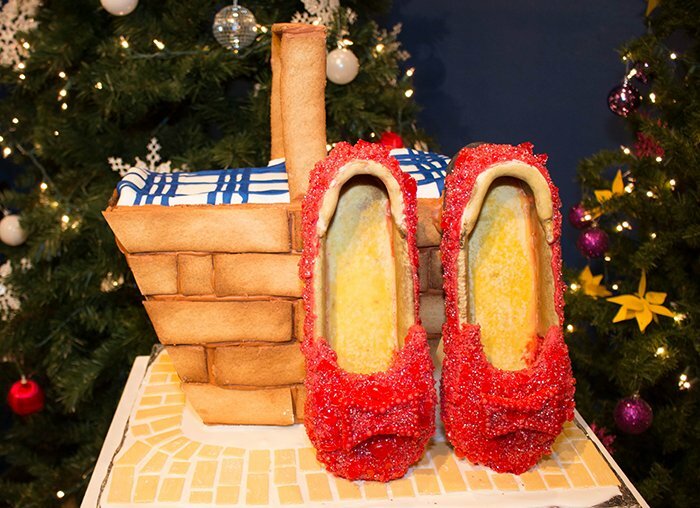 Special Ingredients: I’ve made the ruby-encrusted gingerbread shoes resting against Dorothy’s picnic basket. The rubies are made up of crushed cinnamon candies. 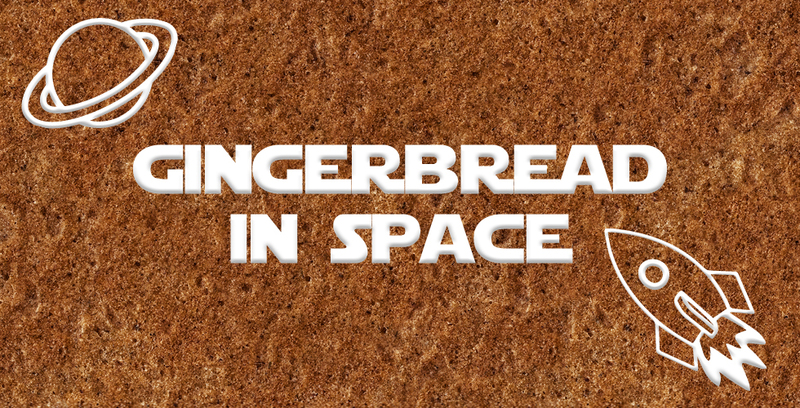 The picnic basket is gingerbread. The tea towel is made of fondant. She Sells Seashells by the Seashore, but Where’s Waldo? Special Ingredients: So you think building big would be fun, HA! 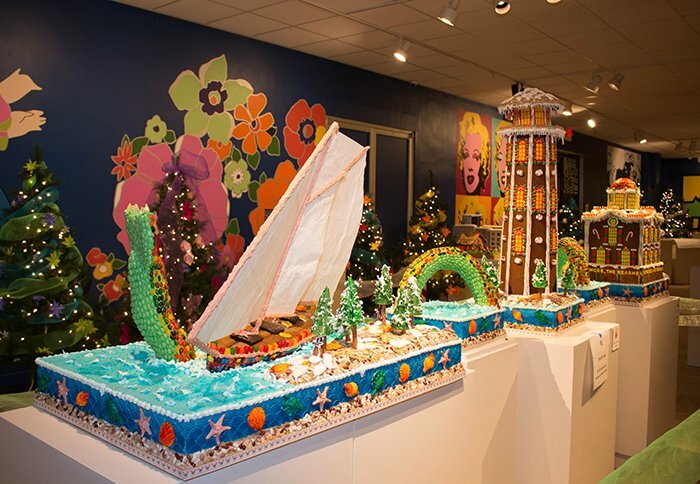 The construction of this display took: One week of vacation, about 5,000 jelly beans, working gingerbread — hot from the oven, somewhere around 40 to 50 pounds of royal icing, one gallon of egg whites and one quart of food coloring. Gum paste, candies, and sails made of four layers of rice paper and put together with paper mache. Other ingredients include Rice Krispies treats and beans. Now the non-edible: PVC piping, plywood and glue. Do you still think you want to try it? Special Ingredients: Candy canes, Lifesavers candies, Shredded Wheat cereal and Sweetarts.